According to the latest BNC report by The Big 5 Construct Egypt, the country is going through a phase of economic prosperity across the board and particularly in the construction sector. In 2017, Egypt’s construction market production recorded a ten percent increase, as opposed to an average annual growth rate of 5.3 percent over the last four years. The Urban Construction in Egypt report compliments the arrival of The Big 5 event in the country, which will be held at the Egypt International Exhibition Centre (EIEC) on the 18th – 21st of September 2018. The Big 5 is a series of construction trade fairs originating in Dubai aimed at connecting international suppliers of construction products and services with buyers from the Middle East. The report goes on to detail the total estimated number of active projects at over 1,400 with a combined estimated value of $348.2 billion. Some of the most notable are Mountain View iCity in New Cairo ($3.8 billion) and Citadel Refinery in Cairo (US3.7 billion). Over 68 percent of projects, with a combined value of $142 billion are in their advanced stages of development, while an estimated $178.4 worth of projects are in their early stages highlighting the projected growth of construction in Egypt. Commenting on the significance of the BNC report, Josine Heijmans, Portfolio Director of The Big 5 Construct Egypt said: “The steps taken by the Egyptian government since 2016, especially the launch of the reform program, have been very encouraging and set the stage for a new era. “Coming to Egypt now, The Big 5 Construct Egypt will bring with it a wealth of knowledge to industry professionals, business development opportunities and will help drive FDI into the sector through the participation of some of the world’s most renowned names in construction,” Heijmans added. 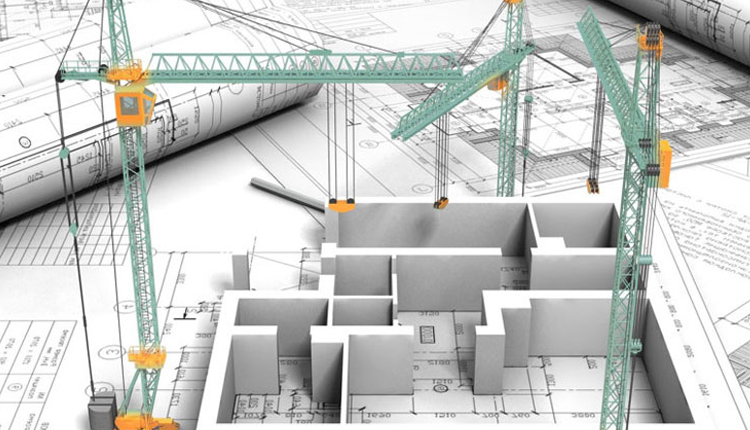 The urban construction sector, which comprises buildings, mega urban developments, religious buildings, hospitality buildings, healthcare facilities, retail facilities, and leisure facilities, is helping to drive economic growth in the overall construction sector in Egypt and the economy as a whole. Most project investments in the urban construction sector are residential and commercial buildings as well as mega urban developments valued at $90.5 billion, making up 79 percent of all project values in the urban construction sector. The hospitality industry plays a major role as well, comprising 86 active projects with an estimated value of $8 billion, making up 13 percent of all project values in the urban construction sector. The Big 5 Construct Egypt is a free for all event, offering 360-degree solutions for the Egyptian built environment, connecting industry experts, buyers and manufacturers of construction products from all over the world. More than just an exhibition, the event will also feature free-to-attend CPD, continuing professional development, certified workshops. The Big 5 Construct Egypt will host 15 country pavilions, including Germany, Italy, and Spain. Greece has also secured a prominent space, becoming the official country partner for the launch edition of the event. The Big 5 Construct Egypt is supported by the Egyptian Federation for Construction and Building Contractors (EFCBC), the African Federation for Construction Contractors Associations (AFCCA), the Egyptian Chamber of Building Material, and the Arab water council. Some of the largest industry players have partnered up with the event, including, the international Underwriters Laboratories (UL), the Saudi-based Al Bawani Company, the Egyptian companies Sphinx Glass, Ezzsteel, Kandil Steel, and Al Sherif Group.